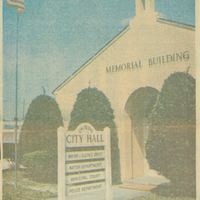 The Memorial Building, located at 38 South Central Avenue in Downtown Oviedo, Florida, in 1974. The building was dedicated during the tenure of Mayor Lee Gary in honor of Oviedo's veterans. At the time that the photograph was taken, the Memorial Building housed Oviedo City Hall, which include the Mayor's Office, the City Clerk's Office, the Oviedo Water Department, the Oviedo Municipal Court, and the Oviedo Police Department. The city hall and the police department are now located at 400 Alexandria Boulevard. The Memorial Building is currently being used for event rentals. Original color newspaper photograph, 1974: Oviedo Historical Society, Oviedo, Florida. Digital reproduction of original color newspaper photograph, 1974. 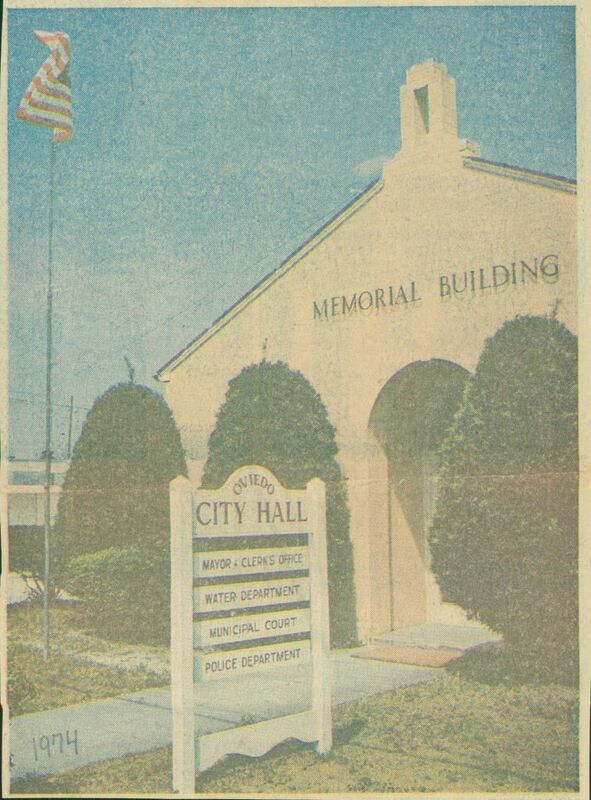 “Memorial Building and Oviedo City Hall.” RICHES of Central Florida accessed April 25, 2019, https://richesmi.cah.ucf.edu/omeka/items/show/5652.